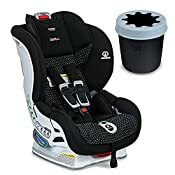 Bundle Includes Convertible Car Seat & Cup Holder, Black.The No.1-rated Marathon ClickTight is a perfect combination of value and safety so you can hit the road in complete confidence, knowing that your child is well protected with the safest installation. Typically up to 75 percent of car seats are installed incorrectly, but the exclusive ClickTight Installation System is the safest and easiest technology on the market. Just open the front of the car seat, buckle the seat belt across and click the seat shut. That's all you need to do for rock-solid installation - the seat won't budge and you can travel worry-free with your child. 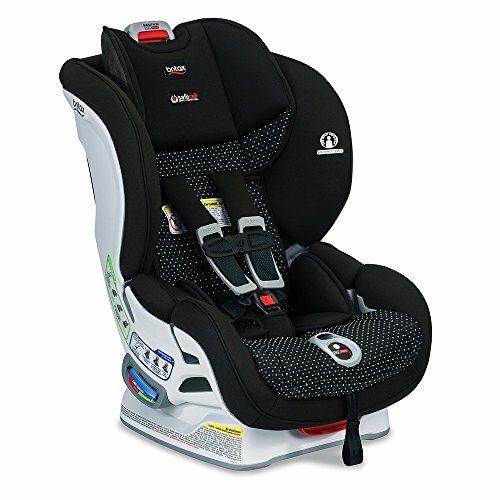 Britax is also the only child car seat brand that features world-class SafeCell Impact Protection. This integrated system of safety components provides unmatched protection for your child. These features include a steel frame, energy-absorbing base, V-shaped tether to minimize seat rotation and staged-release stitches that slow and reduce forward movement during a crash. Side impacts represent 25 percent of collisions. In fact, it's these accidents that result in the most severe injuries. Britax designed the Marathon ClickTight with these statistics in mind. The seat has a deep foam-lined shell to absorb energy and shield your child from side impacts. The Marathon ClickTight safely and comfortably holds your child from birth all the way through the preschool years. The easy-adjust harness grows along with your child with 12 different positions. Change the height of the seat with just the push of a button - no inconvenient rethreading necessary.